Unseasonably warm weather has forced the Yukon government in Canada to abandon an attempt to help nature create an ice bridge. 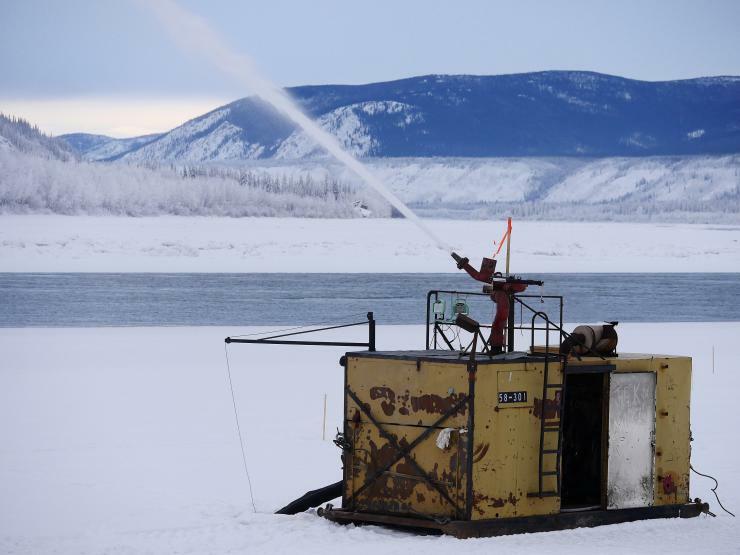 Work had begun last week on the effort to use spraying equipment to build up the ice, with the aim of spaning the Yukon River between Dawson and West Dawson. The decision was taken to bring in the equipment after the natural bridge failed to form last winter. This was the first time that Yukon government had tried to induce ice formation for the purposes of creating an ice bridge. However, the relatively 'warm' temperatures – around freezing instead of the more typical -20°C - meant that little progress was made. It had always been acknowledged that the project might not be successful. Mostyn had said last week that, if the ice and weather co-operated, there could have been a workable ice bridge within weeks.